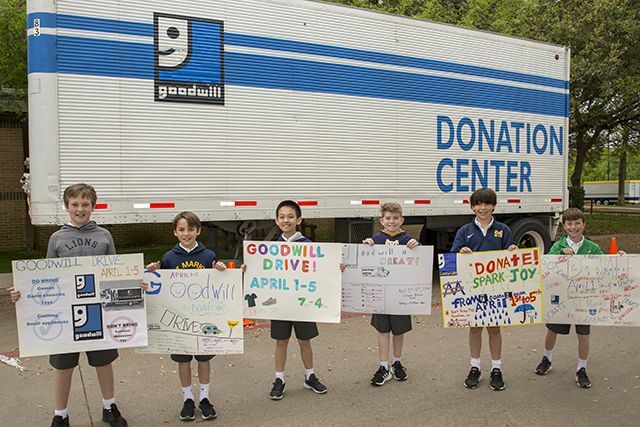 With spring cleaning in full swing, the Lower School organized its annual Goodwill Drive to collect items for the benefit of the Dallas community. During the first week of April, Lower School students held signs along the carpool line, where a Goodwill Donation Center truck was parked. Their hard work paid off, with Goodwill collecting 6,780 pounds of donations from 193 donors. This amount of donations equals approximately 212 hours of employment for the individuals served by Goodwill Industries of Dallas. For the past month, members of the Lower School Student Council have been promoting the Goodwill Drive by making posters, passing out fliers, and speaking to their classmates. 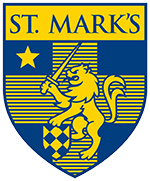 In their homerooms and at Middle and Upper School assemblies, the Lower Schoolers explained the mission of Goodwill and urged their fellow Marksmen and teachers to look around their house for new or gently-used items to donate.